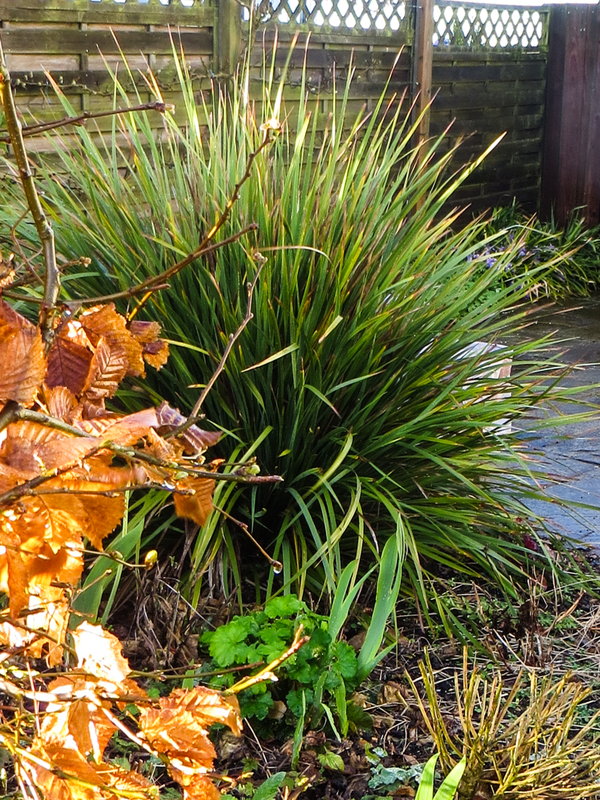 The garden in Suffolk should really be called ‘The Fortnight Garden’ because that is what I am trying to do – make an interesting garden on a few day’s attention once a fortnight. Crazy! I returned from wonderful weeks in South Africa to find the garden in Suffolk hadn’t missed me at all; instead it was getting on with the New Year. I have squeezed in a few days but it really needs my undivided attention for at least a week and I don’t have a week until early April. So what is keeping me busy? I am digging in London, still posting on my travels in South Africa (with gardening posts to come from South Africa! ), thinking about what is needed in Suffolk, and starting to work on a little photography exhibition in early 2018 together with a friend! Quite a long list of ‘things to do’ but first I am going to enjoy the spring in the Suffolk garden. 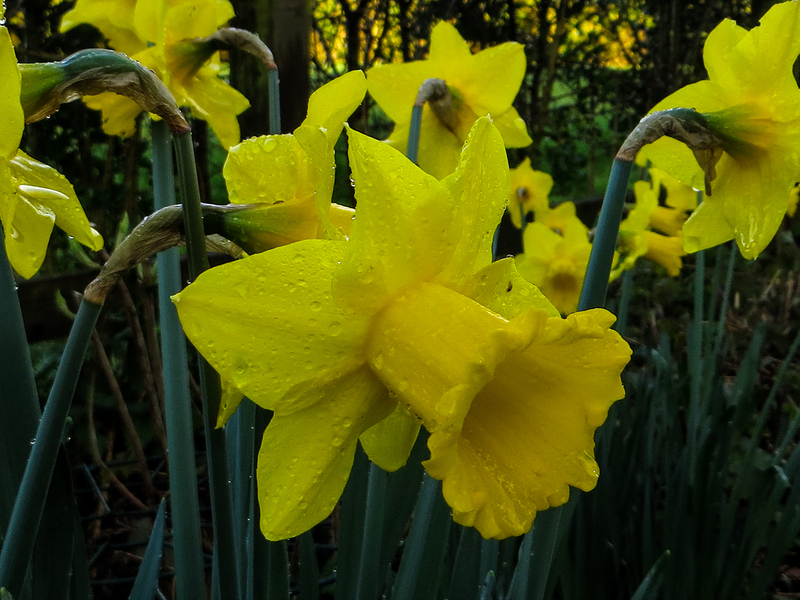 The daffodils all came out in a rush and in Suffolk, unlike London, there are no squirrels to dig up the bulbs so they are gradually increasing each year. I planted ‘Dutch Master’ and ‘Jack Snipe’ and just love both. 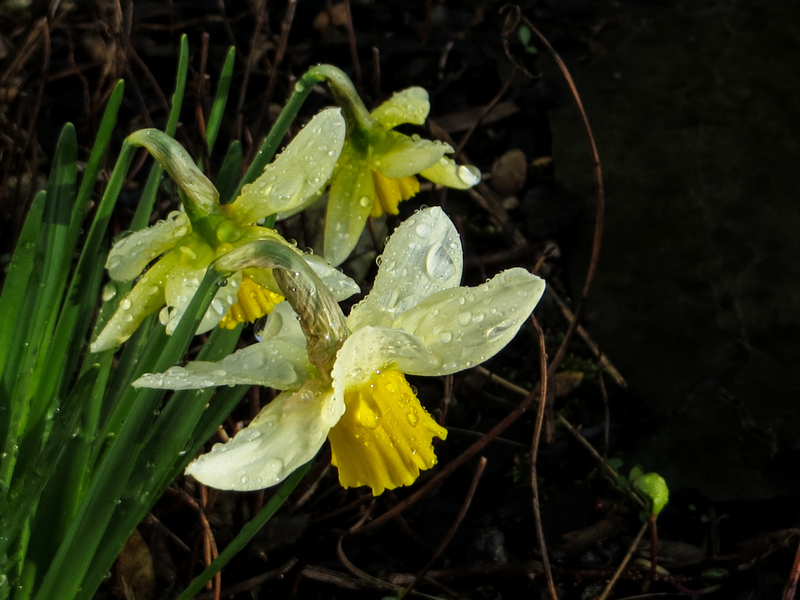 I am starting to think about white daffodils – ‘February Silver’ or ‘Narcissus Actaea’ to follow on from the earlier daffodils in the bed where the Libertia is growing. 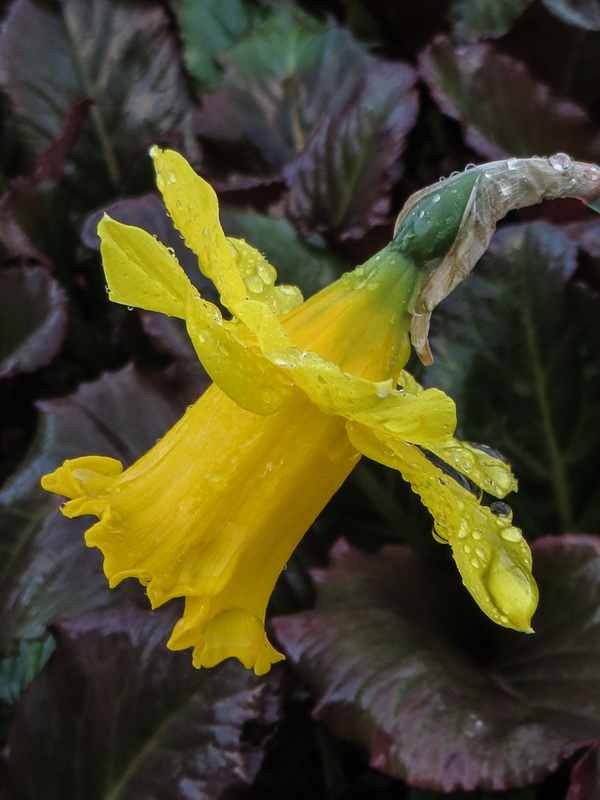 I am thinking about Narcissus ‘Actaea’ or Narcissus ‘Chromacolor’. 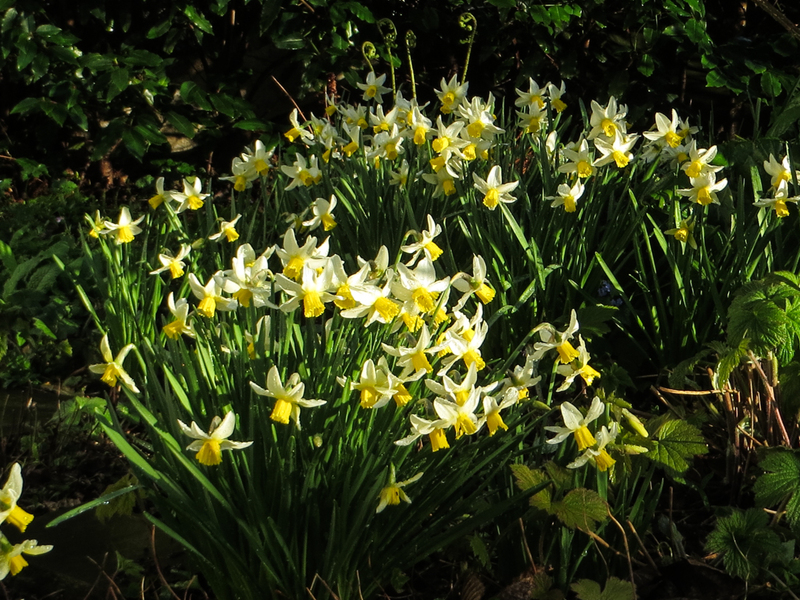 And I would like to naturalise bulbs in the grass near the car parking area – it looks too stark, and I am thinking about Narcissus ‘Pseudonarcissus’. I love blue flowers in the spring time – pansies, Iris Sylvatica, and Iris Luzula are all flowering away. I know they are all as common as muck but I love the colours! And other plants are raring to go – the alchemilla, espalier conference pear, persicaria, and the sedums are growing as I watch. And then there are the Japanese Anemones and Brunnera ‘Jack Frost’. 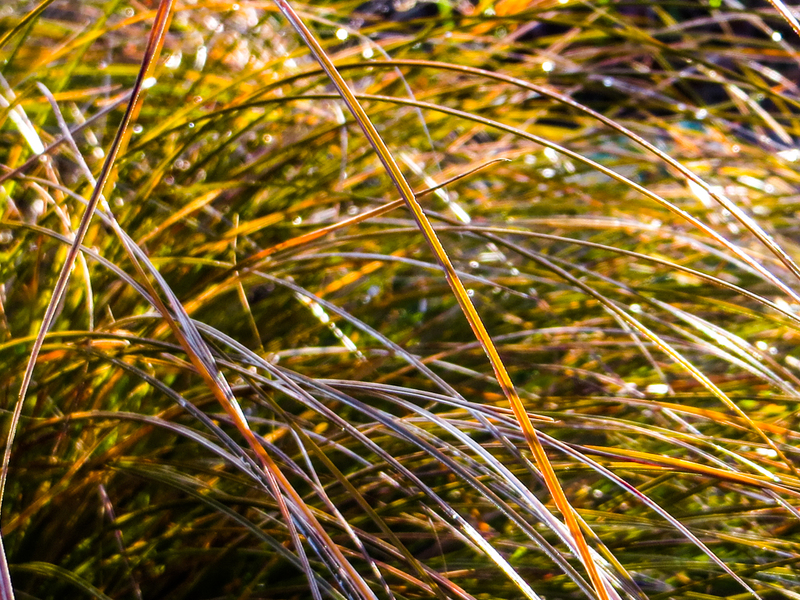 Even the grasses are starting off again; the Libertia is winding itself up to flower and Carex Testacea has come through the winter splendidly! I am quietly pleased – can you tell? 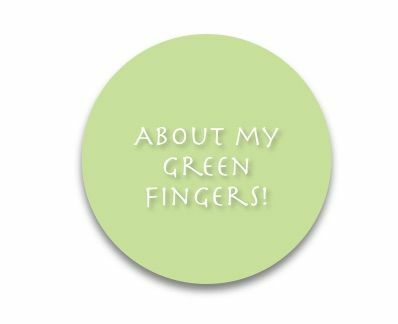 Well thank you – long way to go!